All are expected to be in school before 8.30 am. In winter and before 8.00 am in summer. At the first sound of the bell the pupil should proceed briskly and in silence to the place of Assembly. Students not in position by the second bell will be considered late. A record will be maintained o late attendance in the school diary. Pupils habitually coming late to school will be sent home. Special care must be taken by teachers and pupils to preserve an atmosphere of silence and serious work during class hours. Strict silence must also be observed outside the Principal’s Office, the Staff Room , in the Library and in the corridors. When moving strong corridors, from one class to another, the rule is always: keep to the left, walk in single row and in silence. Running inside the building is forbidden. No child is permitted to leave class during class hours expect for very urgent reason. No pupil is permitted to leave School premises during the recess or otherwise, except with the written permissions of the Principal. No pupil is permitted to enter the Staff room. Pupils will not be allowed to use the School telephone without the permission of the principal. Permission will be given only in very urgent cases. No collection for any purpose whatsoever may be made in the school without the permission of the Principal. The school will not be responsible for students who buy snacks from hawker outside the school gate. No pupil is allowed to bring/ park any vehicle in the school campus. Strict action will be taken against defaulters. All must consider it their special responsibility to keep the school clean. Every ward should be particularly careful to avoid throwing waste paper, fruits peels, lollipop and ice- cream sticks etc. out of the windows or on the School grounds. Use should be made of the waste paper basket and bins provided for the purpose. Use of polythene bags is banned in the school. Pupils must take special care or School property, i.e. furniture, apparatus etc. with the understanding that we respect whatever does not belong to us. Any damage done to school property must be made good. Pupils must take care of their personal property as the School authorities do not accept responsibility for lost watches, ornaments, money, books etc. Every ward should remember that his/ her behavior in the school and outside is a reflection of both his/her home and school. He/she ought to conduct herself/ himself in a manner worthy of the dignity of a child of God and pupil of Sri Sai Baba International public school. Pupils are not permitted to wear the school uniform or blazer at any function outside the school unless they are accompanied by a teacher, or sent by the school. Children shall always greet their teachers, elders and friends in a pleasant and audible tone of voice, wherever they may meet them in School or outside. This trait reveals a charming testimony of the quality of a child. Children should, while speaking to one another, always avoid the using slang, loud talk and common expressions that ill befit a child. They must take care never to interrupt anyone who is talking. They shall be docile in their obedience to their parents and teachers, always giving them the respect and affection that is their due and they must accept their guidance and correction with gratitude. A ward should live in joy and confidence in God and with simplicity and harmony to live as one great family under Him. Children will consider it a privilege to be of service to anyone in need of assistance. Pupils should attend school regularly. Seventy five percent (75%) attendance is necessary for promotion. Unexplained absence over a period of a week renders a pupil liable to have his/her name stuck of the rolls. If he/she is re-admitted the admission fee must be paid again. Pupils who have been recently suffering from or exposed to any infectious disease will not be allowed to attend school unless they bring an authorized /M.B.B.S doctor’s certificate to state that the period of quarantine is over. This is in addition to the note of absence from the parents / guardians. In case of absence without leave, the pupil on returning to school must have the reason of absence entered and signed by parents or guardians on the Non- Attendance and Leave Record in School Diary. The same should be signed by the Principal before he/she is allowed into the class. In case of absence due to illness, it is mandatory to submit authorized/ MBBS doctor’s certificate with photocopy of the prescription. Action will be taken on students who speak in Hindi in the campus and on those who are absent on the first and last days of reopening and closing of School. Cards are to be issued to a student defaulter for the following. Wrong uniform, untidy hair, untrimmed nails, application of heena and nail polish, wearing jewellery etc. Missing any class or assembly without permission. Not bringing the school diary to the school. Rude or insolent behavior with staff or fellow students. Bullying/causing harm to fellow students or juniors. Using unfair means during tests/ examinations. Damaging or disfiguring school property. Bringing cell phones or other gadgets/ objectionable material to school. Leaving school without the knowledge of authorities. Forging signatures or changing marks. Bringing to school or using narcotic substance, cigarettes or alcohol. Four pink cards will be equivalent to one red card. Three yellow cards will be equivalent to one red card. Red card will mean suspension from the school for one month and expulsion from the school at the end of academic year. Bringing weapons/fire arms to the School will lead to immediate suspension of the student from the school. 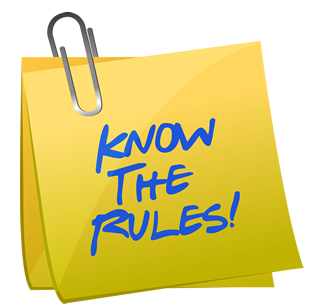 A calendar month’s notice must be given before the withdrawal of a pupil or a month’s fee is charged. In the case of request for Duplicate Transfer Certificate, the parent or guardian will be asked to state in writing what happened to the original certificate and why a duplicate is required. No certificate of any kind will be given without a written application from the parent/ guardian. The application should be handed in the school office at least eight days before the date on which the certificate is required.